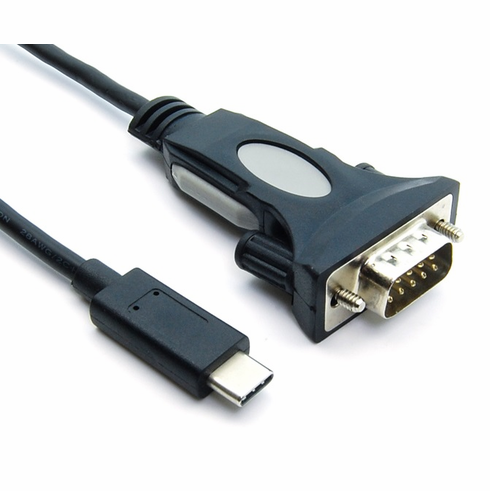 The USB Type C to RS-232 Bridge Converter converts a USB type C port into RS-232 serial port allowing you to connect to monitor and control your serial devices. (Works with digital camera, cell phone, PDA, modem, mouse, PDA, GPS, ISDN terminal adapter etc.) Its cost-effective but high performance such like remote wake-up & power-on-reset is widely recommended by serial device manufacturers. For its high durability, hot plug-and-play operation, computer OS compatibility, via data transfer rate up to 1 Mbps; it is most applicable to industrial environments (no IRQs requirement) and simple desktop installations.